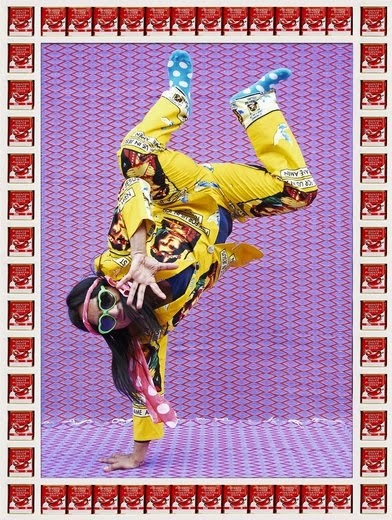 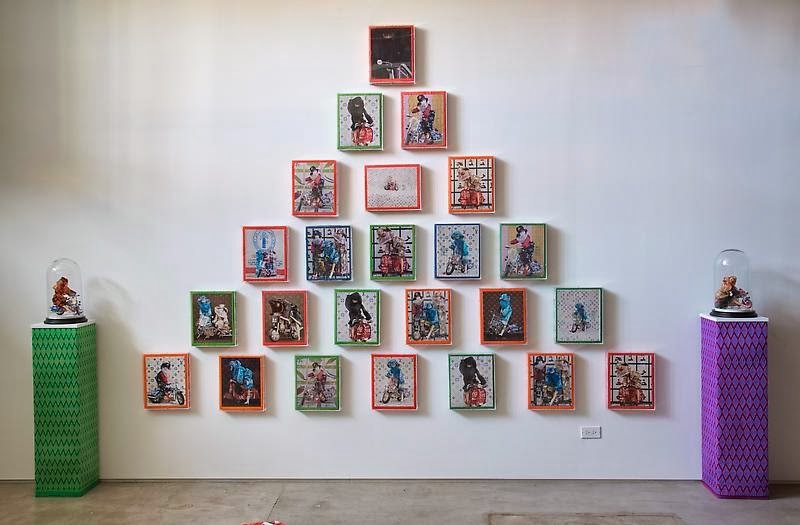 Moroccan-born, U.K.-based artist, Hassan Hajjaj has two solo exhibitions currently running in the U.S. 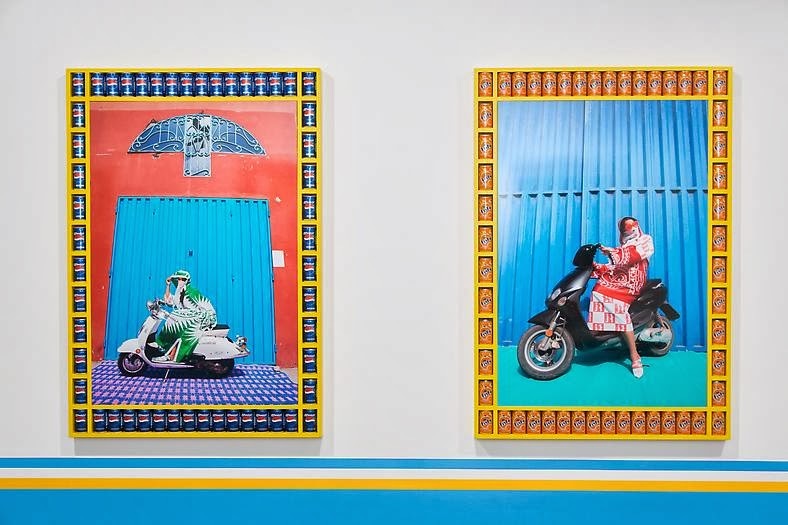 The gallery explains "Draping traditional woven mats on the street, [Hajjaj] outfits his subjects in colorful and quirkly costumes that he has designed. 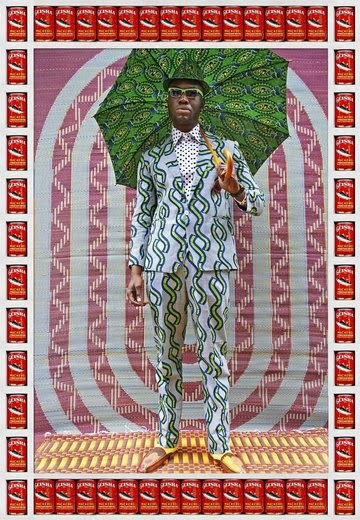 Suits sewn from found fabrics and industrial food packagings are combined with bold accessories, and the resulting portraits are encased in wooden frames lined with products sourced from Moroccan markets – items such as food tins, matchbooks, pigment bottles and Arabic alphabet blocks." 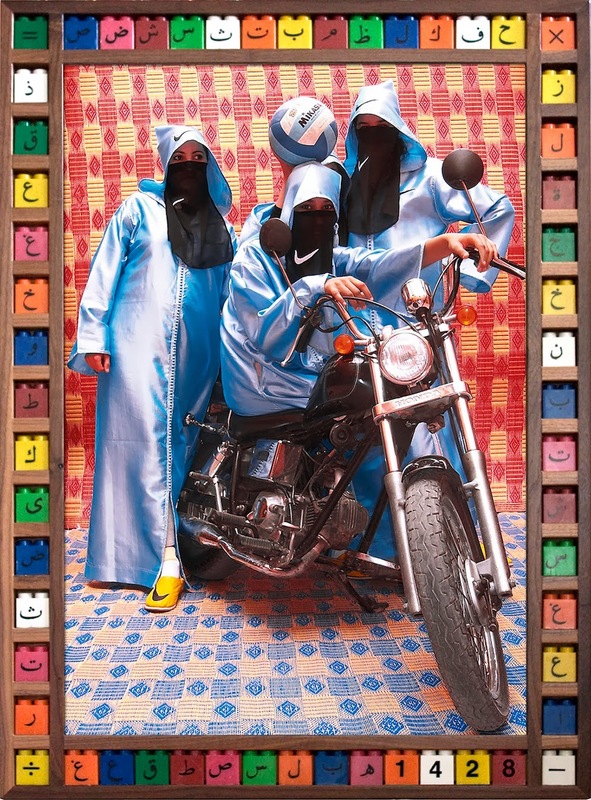 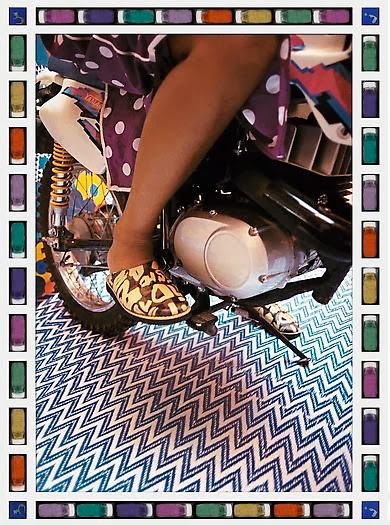 In this exhibit, Kesh Angels "pays tribute to the biker culture of the young women of Marrakesh in a series of photographs, limited edition objects, an installation and a video." 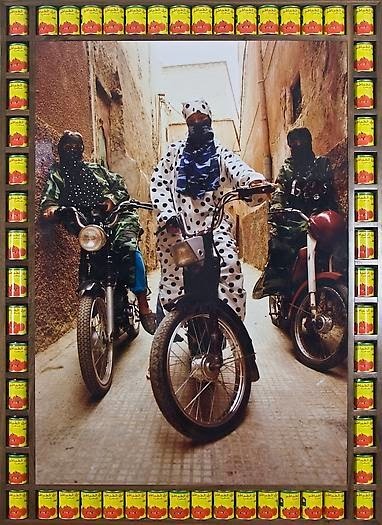 Motorcycles and mopeds are prevalent part of every day life in Marrakesh, so it is not that they are girl gangs, rather a play on this concept celebrating the vibrant street culture of Morocco. 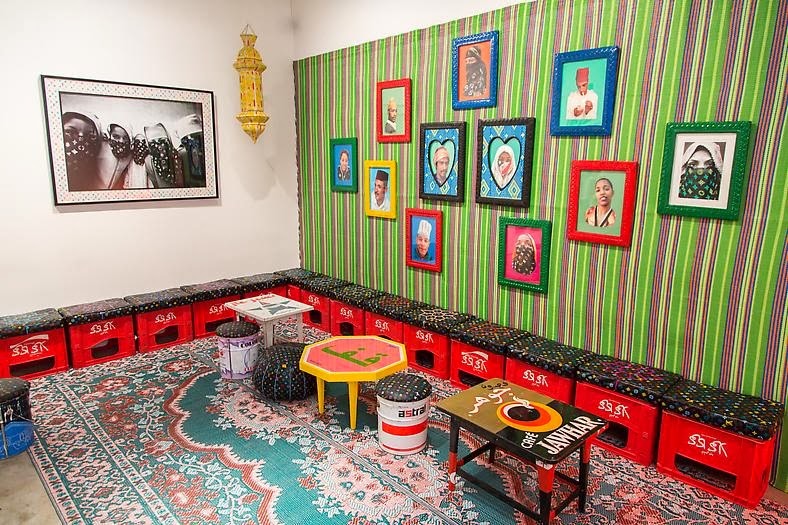 NPR and The New Yorker had short and insightful stories on this exhibit. 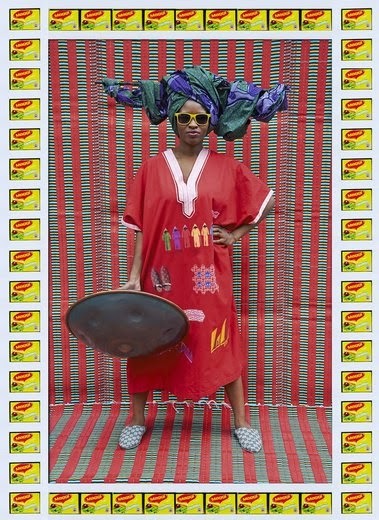 Thank you Trevor for turning me onto Hassan Hajjaj! 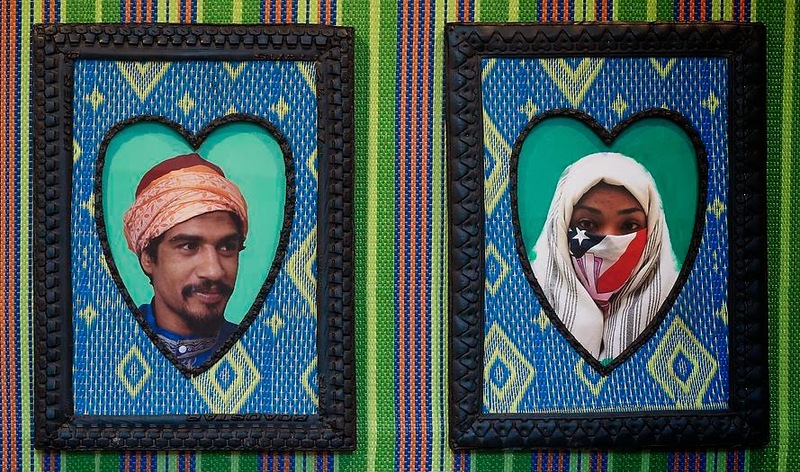 The Nasher Museum just purchased Hajjaj's piece "Nlsrn" - so it'll be traveling to the south once the show closes.